The following was produced in partnership with our friends at Johnson & Johnson. If all the unsolicited advice you got while you were expecting had you wishing you could flee the country… Maybe you should have. There’s a treasure trove of parenting techniques, methodologies, and philosophies in nations and cultures outside the jurisdiction of your well-intentioned friends and family. Immersing yourself in them would almost certainly teach you a new way to raise a happy, healthy, and resourceful kid. Fortunately, you don’t have to take an 8-country vacation to learn more — you can just scroll down. Because, while each of these cultures have each found their own small way to win parenting, none of them have yet figured out how to survive a transatlantic flight with a toddler. 1. Sweden: Where they do paid family leave right. When Swedes have kids, they get 480 total days of paid family leave between the 2 parents — and at least 60 must be taken by the father for a family to qualify for the full amount. The leave can be taken consecutively or in chunks, and it’s available to parents until the kid is 8 years old. For the first 390 days, they get paid nearly 80 percent of their normal salary and, if all that weren’t enough, parents are entitled to reduce their work hours by 25 percent after they use their 480 days. What’s that? Why, yes, Stockholm does seem to be hiring. Read more here. 2. Germany: Where kindergarteners learn resourcefulness. Germany knows about kindergarten because they invented it — and the whole point is to emphasize nature over book learning. Year-long, outdoor pre-k programs are known as “Waldkindergarten,” or “forest kindergarten,” and once a year at most schools, the kids spend a few nights sleeping in tents, learning to fend for themselves with limited adult supervision. Many German kids learn to read and write around age 6 — after they’ve roughed it in the woods — yet Germany maintains the lowest youth unemployment rate in Europe. It also seems useful to have a kid who can grill you a bratwurst. here. 3. 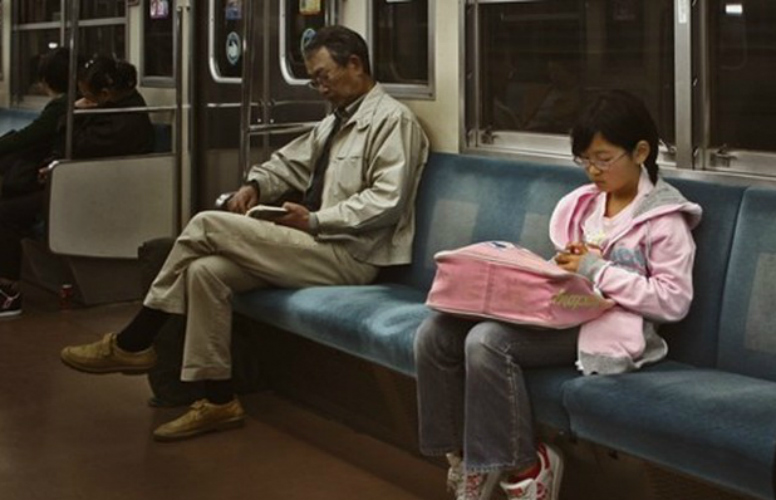 Japan: Where 4-year-olds ride the subway alone. Thanks to a highly sophisticated rail network and a value system emphasizing community reliance, Japanese commuters frequently give up their seats to 4-year-old solo subway riders. Kids there are so independent there’s a 25-year-old reality show about them running errands, which seems as good a reason as any to adopt this practice here. Or do you not want to watch Kanye send North on a beer run? Read more here. 4. 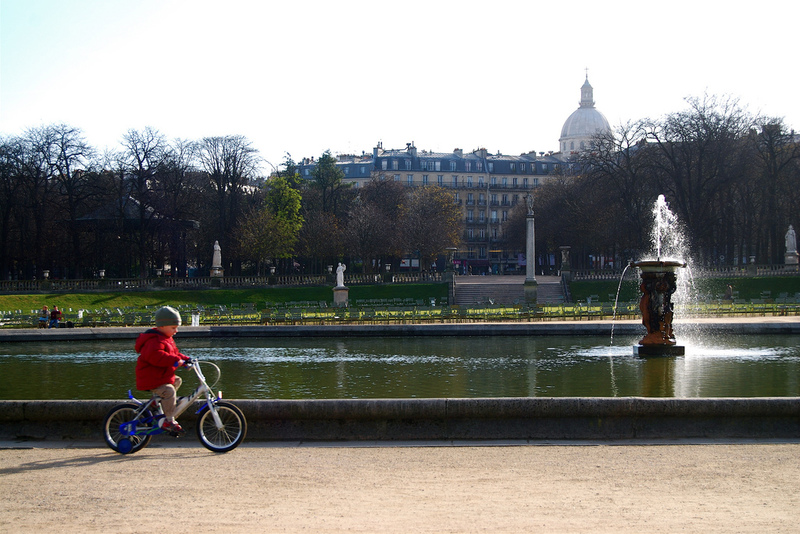 France: Where parents still have lives. Pamela Druckerman’s now ubiquitous book, Bringing Up Bébé, recounts her experiences raising a child in Paris, where she found French kids well behaved, polite, autonomous, and willing to eat food that isn’t beige and dinosaur-shaped. Lest you turn up your nose at following French parenting advice (which would be quite French of you), remember, they’re the ones sleeping and having social lives. Vive la France! Read more here. 5. Finland: Where education works for all kids. How does a country the size of New Mexico consistently top international tests in science, reading, math, and overall education? Apparently, by giving their kids almost no homework or exams until high school, 75 minutes of recess a day, and 300 fewer yearly school hours than we do in the U.S. Finnish teachers are held in the same high regard as doctors and lawyers, preschool is universal, elementary school starts later, and there is a single entrance exam for college. And college is free, because of course it is. Read more here. 6. Vietnam: Where all the toddlers are already potty trained. Vietnamese mothers lock down potty training by 9 months by monitoring their kids’ natural elimination process and whistling with every golden stream. This creates a sort of Pavlovian pee response that would wreak havoc in U.S. preschools if some unfortunate daycare provider left their text message sound effects on. Read more here. 7. Amish Country: Where kids ask for more chores. Amish communities don’t eschew a lot of modern technology because they think it will steal their souls — they raise their barns by hand because it’s a sure-fire way to ensure everyone looks out for one another. Unsurprisingly, this results in kids who value hard work from a young age and actually look forward to their first barn raising. Before that, they train them up on basics, like dish washing and yard weeding, and floor mopping, which the kids are happy to do because… Barn raising! Read more here. 8. Maldives: Where expecting moms are always happy with the expecting dads. The 2015 State Of The World’s Fathers report found, among nearly 300 pages of other fascinating stuff, that 96 percent of fathers in the Maldives are present for their children’s prenatal checkups. Given the proven health benefits to women and babies when fathers actively support their partners during pregnancy, this isn’t just about being a nice guy — it’s about truly egalitarian parenting. Read more here. This article was first published at Fatherly and is reposted here with permission.